It is rare to hear the words ‘homespun’ or ‘family heirloom’ when describing a recent runway collection. 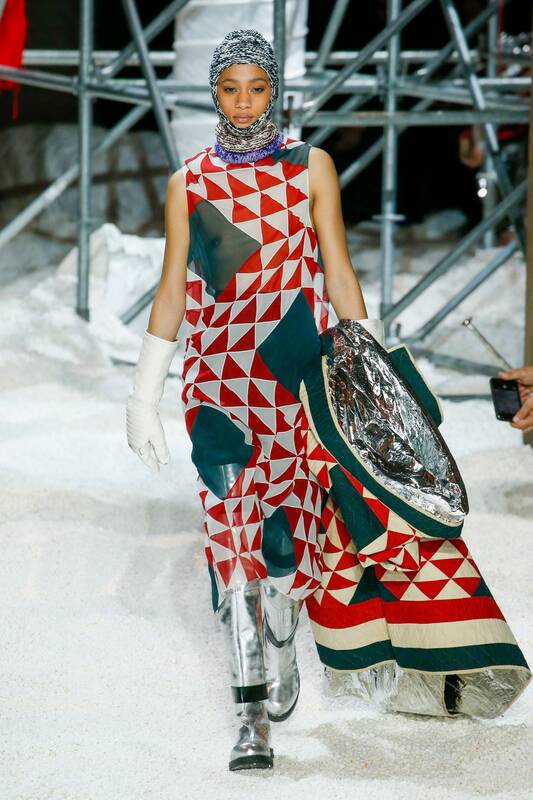 It’s even more rare that we see grandma’s hobby incorporated into high fashion. Cue Bode New York, a modern label with an antique obsession. Emily Bode’s eponymous label repurposes antique textiles like vintage quilts into luxury ready-to-wear for men. But make no mistake, Bode New York is not participating in the ‘quilt trend’. Quite the opposite. Quilts are Bode’s brand. 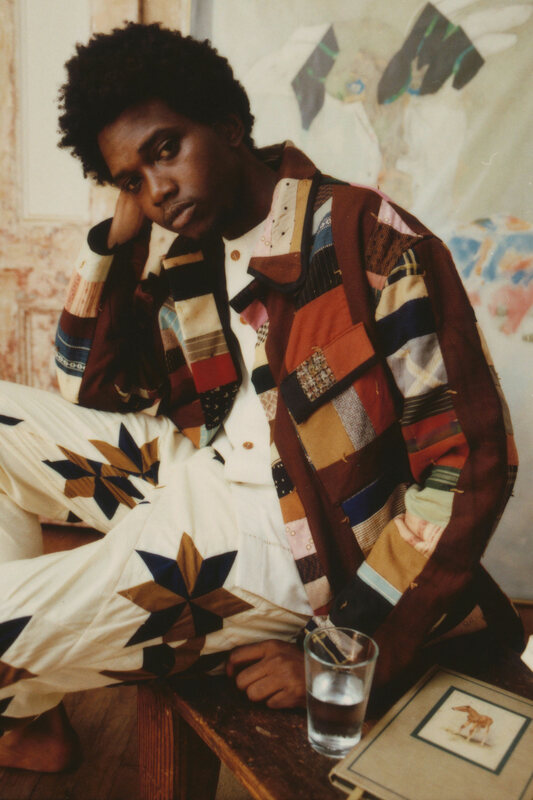 Bode’s workwear-inspired jackets and shirts are constructed with materials that come from vintage textiles like antique quilts or table linens, 1920’s French bed linens, or Victorian quilts from New England. Bode vigorously sources her materials (sometimes having to wear a hazmat suit to dig deep in abandoned piles of vintage quilts), often rescuing textiles whose history would otherwise have ended in the trash. The spring 2018 collection is inspired by the South of France, Bode’s uncle, his mother, and their relationship to their attic. It’s nostalgic to say the least. But one would expect no less from someone who comes from a family of self-described “heirloom enthusiasts”. Bode has been in the heirloom business for a while and it shows. Your grandma’s quilting style is not that far off from the cut-and-paste culture of our digital era. A patchwork style that teeters on the edge of optical illusion, quilting is just as much an artful craft as modern collage. It’s no surprise that designers in the industry (even beyond Bode New York) have picked up on the artisanal trend. Raf Simons Fall 2018 collection for Calvin Klein 205W39NYC continued to reference ‘Americanisms’, a trope not unfamiliar to his still fresh tenure at the heritage label. Classic and vintage quilting styles-abound in Simons’ F/W18 runway show featuring a variety of stitching techniques and deadstock materials manifested in the form of quilted chiffon floor-length gowns updated with delicate sheer accents. Models gripped quilted duvets with metallic emergency blanket-inspired lining for a hybrid statement on vintage and modern American culture. A quilt often comes in the form of a family heirloom. It’s a piece of art that is designed to be cherished and handed down. To wear it is quite possibly giving it the highest form of honor. Tactile, delicate, and sentimental- the quilt (trend or not) is a highly personalized and expressive form of dress.